In the past decade or two, massive amounts of information about Search Engine Optimization (SEO) have been published, what was once true 10 years ago no longer holds true, and even tactics that used to work last year have been patched by Google. Read some time-tested favorites among seasoned SEO experts here. Because search engines continually change their rules to ensure their users the most relevant results of their searches. Google does average several updates each day to optimize their search engine. Although most changes are insignificant, there are typically also a few large a year that can radically affect the effectiveness of your SEO efforts. The reason Google makes all these changes is, among other things, that they will prevent a little too smart SEO tricks in giving pages an unwarranted high ranking. For example, using systematically built backlinks without real relevance or by overflowing texts with keywords to attract Google’s attention – the so-called Keyword Stuffing. As Google’s search robots get better to recognize relevant content that gives the reader a real value, they also get better to punish “bad” content exclusively produced with search optimization in mind. The punishment typically comes in the form of lower ranking (placement) in the search results, which may be crucial for a website or store for the traffic and the opportunity to acquire new customers for the business. Choose a single word or phrase that your article or website should be able to find at. It’s hard to optimize a page for more than one keyword or phrase, so choose the word combination that your potential customers will typically search for and stick with it. Visitors who come to your website from a search engine expect to easily retrieve the words they searched for in your text. Therefore, use the keyword phrase in both headline, subheading and body text. Do not force keywords into your texts, but use them where it makes sense and sounds natural. Overdosing keywords is bad SEO and punished by search engines as an attempt to manipulate. But one should not be afraid to use the correct keywords either, consider this example: if you offer plastic surgery SEO & website design, you would do well to make that a link in your text, as the example here, but not more than once per domain is required. Search engines are getting better and better to interpret the purpose of a search. 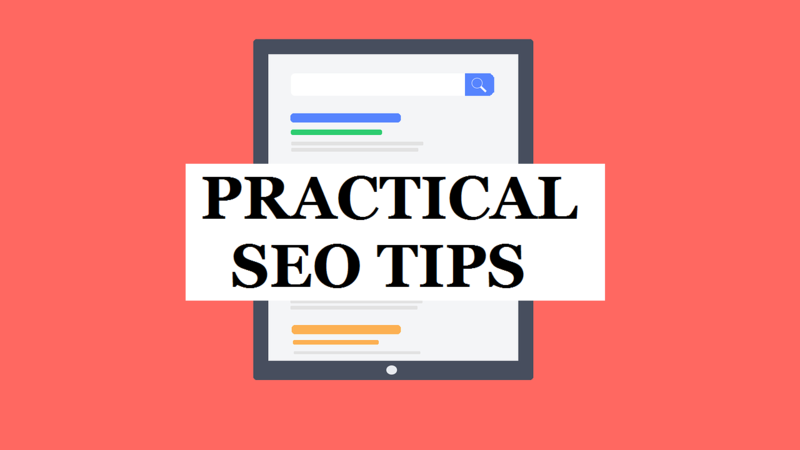 However, you will still find that pages that exactly match the wording of a search rank higher than pages that, for example, have the same words in a different order or in another form. Does it make sense in the text and you have already used the keyword in the imagined form, so do you also add variations of your keywords (car rental – rent a car etc) as well as associated words to enhance the impact of your SEO work. You write to real people, not search engines, so your text should be relevant to your target audience, while it should seem natural and authentic. You must never sacrifice the usefulness of the user to fulfill an SEO goal. Put emphasis on writing easily legible content that gives the reader answers to his search and provide him with useful information. The side length of a text should be dictated by the message you want to communicate. A minimum of 300 words are a good goal, but provided that it is quality content and not obvious filler. Longer texts allow better placement of keywords and better opportunity to provide more information to your visitors. There has been the tendency that texts to the internet should be as short as possible. Today, Internet users are more likely to want to read long texts provided that the content is relevant. A product description for a store and a passionate blog post must of course have different lengths. In terms of SEO services, however, there should be a certain amount of text that Google’s search engine can handle. Although Internet users are increasingly reading long texts, long sections often cause a reason for your readers to get up in the middle of the text. Long paragraphs tire your eyes, so keep your sections under 100 words. Again, of course, make sense and you should not break the text if it goes beyond the meaning of the text. Create section where it works naturally. Internal links have a very beneficial effect on search optimization. By linking to other relevant content on your website (price lists, references, relevant articles, blog posts, or anything else) you show Google that you have more relevant content on your pages, but you also allow users to spend longer time on your site , Which Google honors with better placements in the search engine. All pages and subpages on your website have a unique URL (the address of your site on the internet). And the URL is important. A URL called: “www.example.com/cheap-cologne” will give significantly better SEO results than: “www.example.com/we-have-all-sorts-of-nice-and-cheap-cologne”. It is relatively easy to change the autogenerated URL in most Content Management Systems, so do it briefly and accurately, and make sure that the URL contains your keyword. Everyone has seen search results with incomplete texts as the example below. If your readers are to take you seriously, avoid half sentences and make sure your meta description stays within the allowed 156 characters. You may optionally use a snippet optimization tool, as you can also test the URL and length of your title with. There are a number of different online. Make sure you have at least one image in your text. Images help visualize your pointers and can make textual content easier to read. Images that in title and all title are tagged with the same keyword as the text contributes with a significant SEO effect that you should not do without. The above tips should be considered as some basic tips for do-it-yourself SEO. If you follow them, you have a foundation in place to think search optimization into your texts. In addition, as mentioned before, keep in mind that Google makes sure that practices change quickly and constantly. It is therefore necessary either to stay constantly updated in the area or to hire an online marketing agency to handle the work, perhaps a reputable firm such as Phoenix SEO. Considering studying abroad but are worried about the language barrier? Short Term Personal Loans – Are You Looking for Extra Cash?